Photo courtesy of Nick Cave via "Architectural Digest"
Nick Cave, SAIC professor in the Fashion Design department has taken the stage with a slew of multidimensional, interdisciplinary works throughout the globe. Cave currently has two shows in New York, The Let Go at the Park Armory and Nick Cave: Weather or Not at the Jack Shainman Gallery in Chelsea. His works can also be seen in Arkansas, Tennessee, and soon in Sydney. 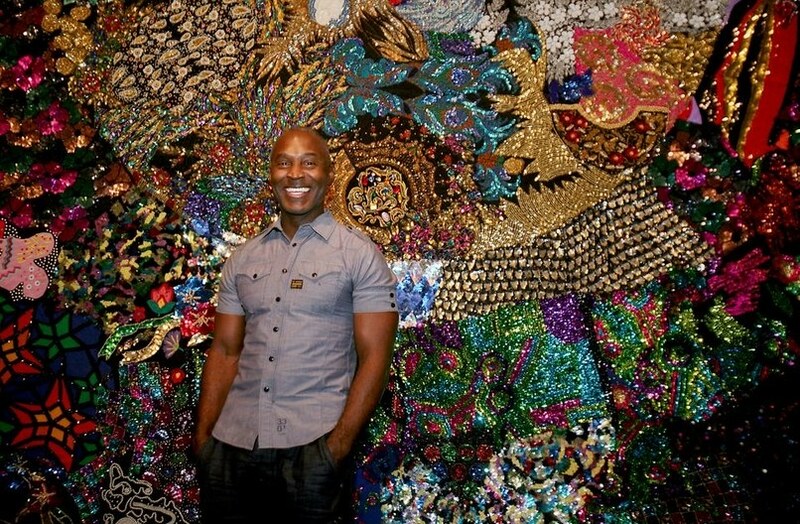 Architectural Digest sat down to interview Nick Cave to discuss the creation of his first Soundsuits, and how his work is meant to “mimic a kind of Technicolor armor, concealing race, gender, and class” reports AD. Read Architectural Digest’s online piece to see photographs and learn more about each of Cave’s art installations and performances.